Walking Fort Bragg: Let's see if I have this right. Let's see if I have this right. Approaching the Simpson Lane Crop Circle on bicycle. Two lanes for cars. No bike lane. In order to safely negotiate this "crop circle" it is best to take to the sidewalk. 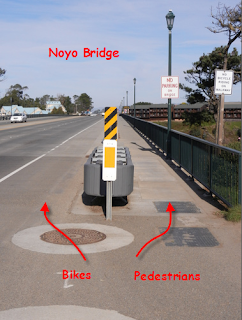 Now here is the Noyo Bridge. The sign says, "No bicycle riding on the walkway". 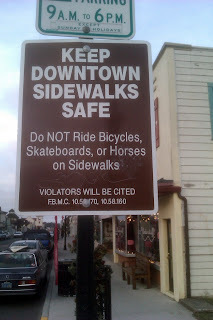 In Fort Bragg it is, "NO bicycles on the walkways (sidewalks)". 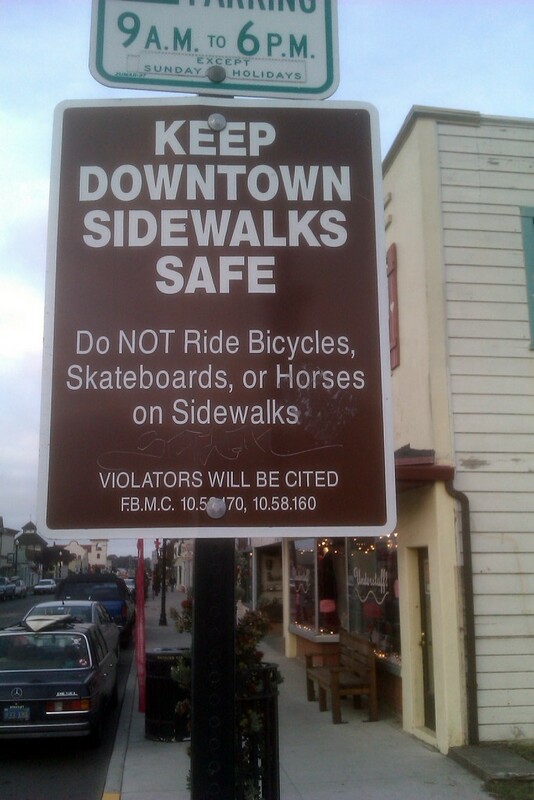 Tricky bidness riding bicycles round here! 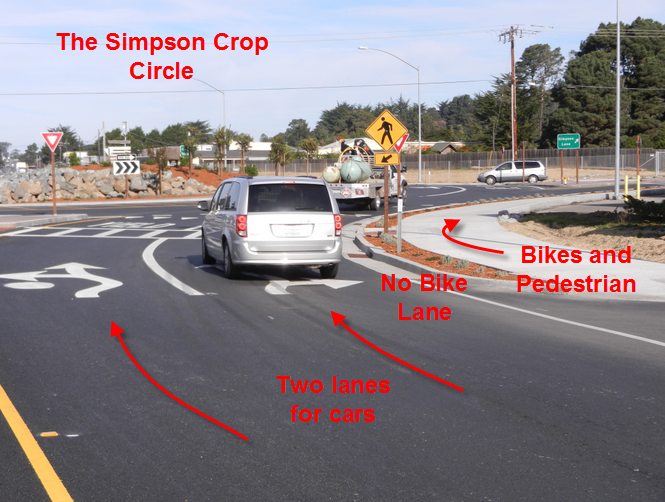 A roundabout in the USA? Trust me - you are better off with the pedestrians. Cyclists die regularly over her in the UK on roundabouts, usually under the back wheels of trucks' trailers. No kidding! Great way to get your point across. It would appear that roundabouts are quickly becoming the norm here in the U.S.A. Here in Washington State they are popping up all over the place. Glad you were able to negotiate then without incident!